In addition to the show there will be a 50/50 and plenty of giveaways and food. 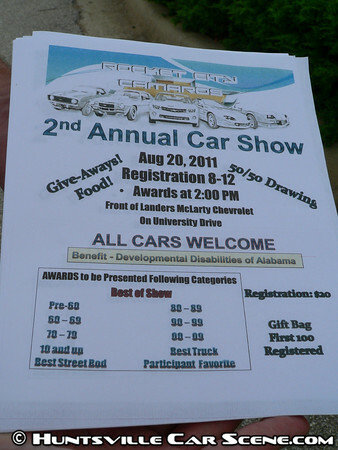 Proceeds benefit Developmental Disabilities of Alabama. 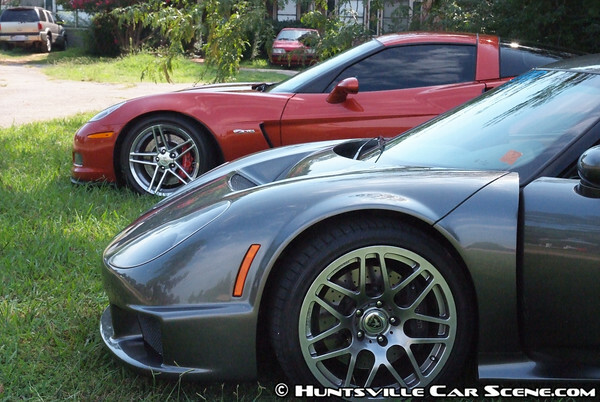 The Rossion wasn't too happy since it had an extra quart of oil in it, and after Cars and Coffee the Vets with Vettes photo shoot, Willie and I went to Express Oil Change off Sullivan in Madison where we knew someone with an oil extractor. We were able to get out most of the oil using the extractor, but finally had to drain some from the pan. The car felt a lot happier after that. As we travelled on Hughes Rd towards 72, I saw EvilZ's z06. I remembered what he said about showing Willie taillights, so we stopped by and checked them out. Willie liked them, lol. The two cars actually looked pretty good together. 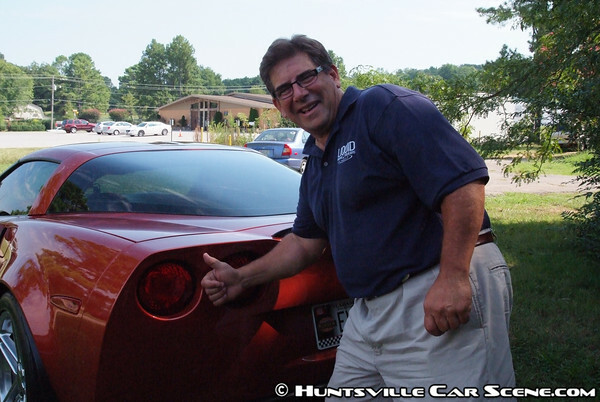 By the time we got to Landers Chevrolet in Huntsville, the temperature had really creept up. I got to work quickly, but the heat quickly dried me up and I stopped sweating earlier than I expected--not a good sign if you're trying to avoid heat exhaustion. A good 50+ cars showed up, but I think more than that stayed away just because of the heat. What did show today were some of the best you'll see--from rat rods to two very well done Camaros and everything in between, it was hard to pick your favorite. After I had completed all my pictures and was about to start resting, I was asked a question that I've never been asked before--would you like to be a judge for the show? I thought sure, how hard could this be. So I shed my camera equipment and donned a clipboard and a pen. What I learned really quickly is that it's easier to take all the pictures that I did in the heat than it is to judge in the heat. There were so many nice vehicles, and many I've seen many times before. But this was the first time I went over them critically. I was actually shocked to find that many of them have paint full of small swirls. I think I only found a handful of cars with perfect paint. The strong sun made judging this part easy. But there was a lot more than just paint, and I realized that it took more time to judge each car than it took me photograph them. It was a interesting experience, and harder work than I imagined. 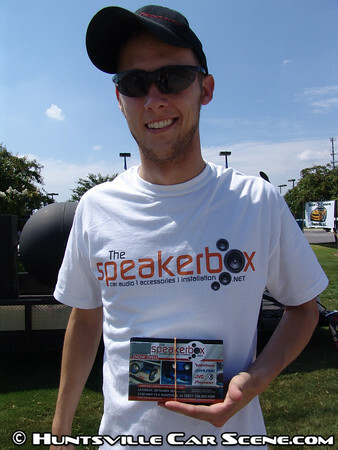 By the time I completed the judging, I was getting into heat exhaustion territory as my head started to hurt. I knew we were coming up on award presentation and had a short gap between this event and Priceville this evening so pushed through knowing there would be some time to recover. 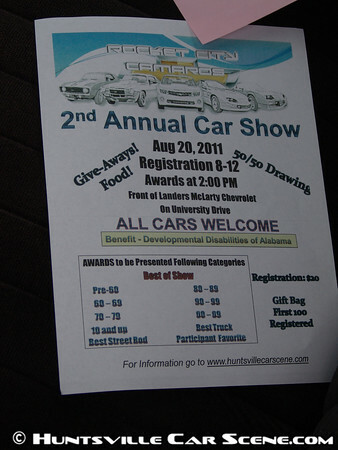 I knew two Camaros would be vying for the Best of Show award. Either one deserved it as they were both extremely well done cars. And the winner was the same winner from last year, but it had to be close. I shot some video of the cars leaving as well as Wray having a little bit of fun in his Manx SR. It's for sale, and as you can tell, it's a hoot to drive because it weighs next to nothing. Beck stopped by from The Speakerbox right after work, but he just missed everything--except getting a photo. See everyone next time! I am coming him maryland for this event. Can't wait! NO WAY!!! Awesome!! It will be great to see you again Jesse. Bummer. It's been a while since I've seen you around. But I know the whole baby/house/wife/family thing probably has you going in a million directions right now. 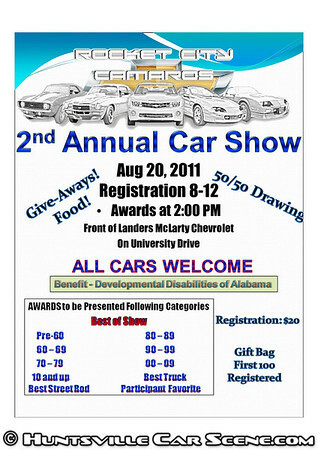 Hey Samir, can you change the title of the post from "2nd Annual Car Show" to "Rocket City Camaros 2nd Annual Car Show?" I've stopped listing show presenters and promoters in the titles of shows. A lot of times they're unecessary, and I've got limited space in the title field. 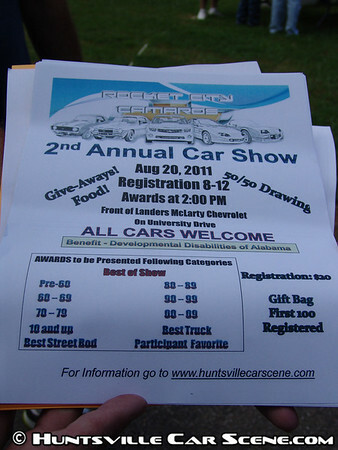 The other thing you're going to run across if I add 'Rocket City Camaros' is that people will think it's a Camaro-only show and not event click on the link unless they have one. Just trying to do everything I can to make sure everyone wins. 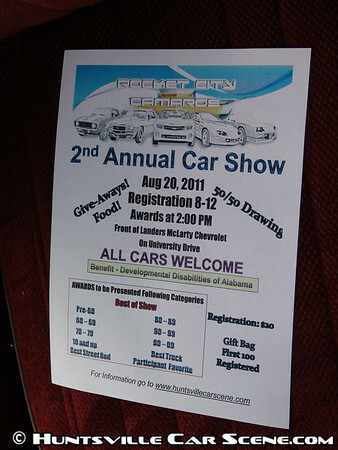 I do still need a 468x60 banner for the show. The faster we start the ad campaign, the more people will know about it! ditto on the promotor name in show title. I would not probably would have even clicked on the link if it presented self as a camaro show but I did and i am coming. Ya'll are good folks and the benefits go to a good charity. You can have my money. Good luck. 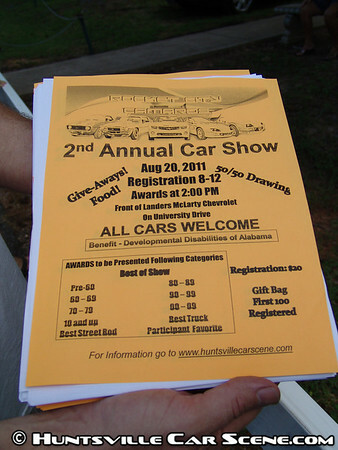 Might go just to see that cars. Doubt ill enter. I'll get you the banner tonight Samir. I'll be there! Gotta throw a little German into the mix. It was good show, I was to attend and had a great time. There was good variety of vehicles and everyone was very nice. Great job.